Sony Xperia smartphones are known for their performance, music and camera quality. Sony has moved a step forward with its Xperia smartphones. You can get good hardware specifications in Xperia smartphones at an affordable price. 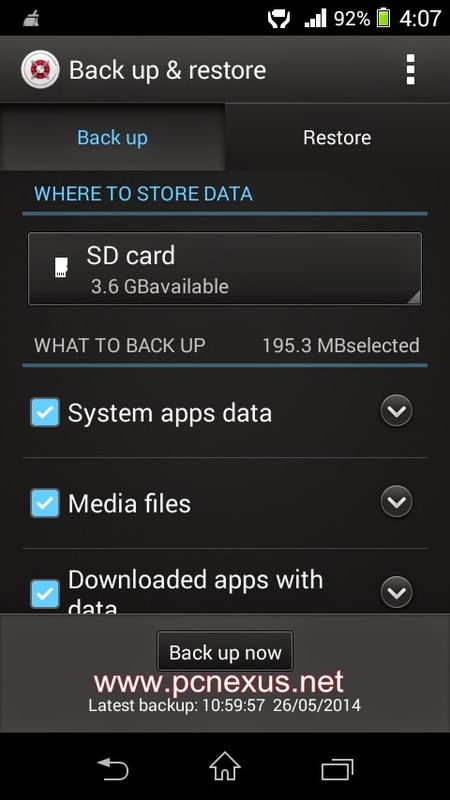 In this tutorial I am going to teach you how you can backup entire app data stored on your Sony Xperia smartphone on SD card by using a pre-installed android app ‘Backup & restore’ on your Sony Xperia. 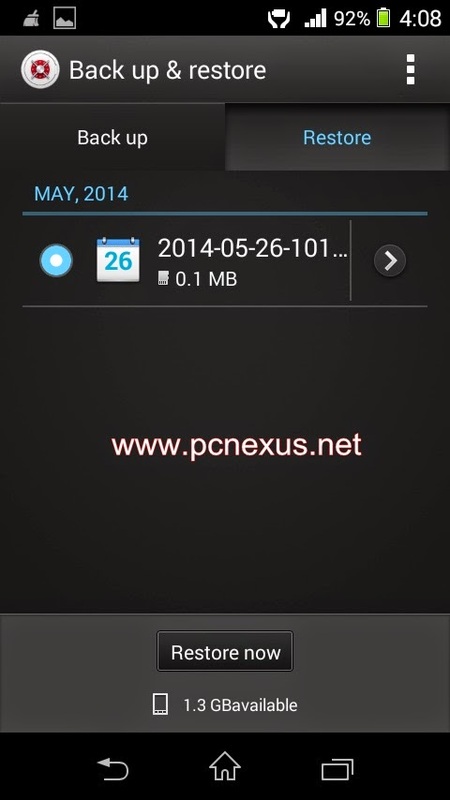 This app is available on Sony Xperia smartphones having android 4.1 jellybean and above. I am using Sony Xperia M and Xperia Z. The data that we are going to backup includes the following. App data of pre-installed android apps, including all system apps. Downloaded apps with apk file and data. Note: The ‘Back up & restore’ app only backs up data stored on the phone. It does not backup SD card data. Another Note: There is a third party app called ‘Helium’ by clockworkmod which also backs up android apps data but ‘Helium’ does not work on Sony Xperia smartphones because Sony has disabled app data backup for third party apps. So there is no need to use Helium for Sony Xperia. Go to app drawer and open ‘Back up & restore’ app. Under ‘WHERE TO STORE DATA’ you have two options. One is SD card and other is USB storage like pen drives and flash drives. For USB storage you will need to connect a flash drive to your phone via OTG cable if supported. Either select SD card or USB storage. Now put a check mark on ‘System apps data’, ‘Media files’ and ‘Downloaded apps with data’. 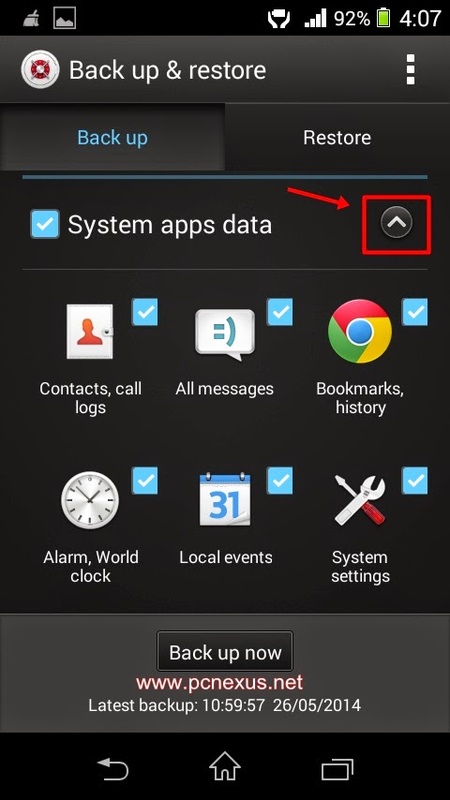 If you want to skip several apps then tap the arrow to expand the apps list and uncheck desired apps. Now tap ‘Back up now’. Enter a password that you can remember. Choose your password carefully because you cannot restore the data without the password. Backup will take time accordingly depending upon the size of the data. You can find your backup in ‘SDcard>.semc-fullbackup’ folder or ‘USB storage>.semc-fullbackup’. Save this file to PC. To restore the data tap the ‘Restore’ tab. Select the backup file and tap ‘Restore now’. You have successfully restored entire android apps data and media files on your Sony Xperia Smartphone. Delete: To delete the record, tap the 3 vertical dots on top right corner and select ‘Manage backup records’. Put a check mark on the record and tap the delete icon on below right corner to delete it. Rename: To rename the backup select it and tap the pencil icon. Then enter desired name and tap ‘Rename’. Its done. Backup downloaded apps with apk files and app data. So you do not need to download them again. Easily backup Whatsapp data so on restoration Whatsapp would not ask for re-verification of phone number. This saves money.